In Sweden, softwood logs prices rose moderately throughout 2018. The nominal average price of spruce logs rose by eight per cent compared to 2017, with the corresponding figure for pine subsidies being seven per cent. In the fourth quarter of 2018, the price level of conifers was at its highest since 2011. 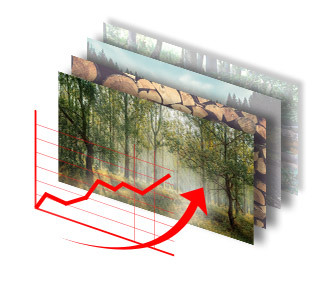 There are many reasons behind this: good profitability of the Swedish sawmill industry and strong demand for logs, new investments in the pulp industry and tightening competition for pulpwood and weather conditions.